Are you looking for a Game of Thrones tour in Dubrovnik? Are you dying to know where the filming locations are? Then read on, dear Thronies! Welcome to King's Landing, the capital of the Seven Kingdoms of Westeros! 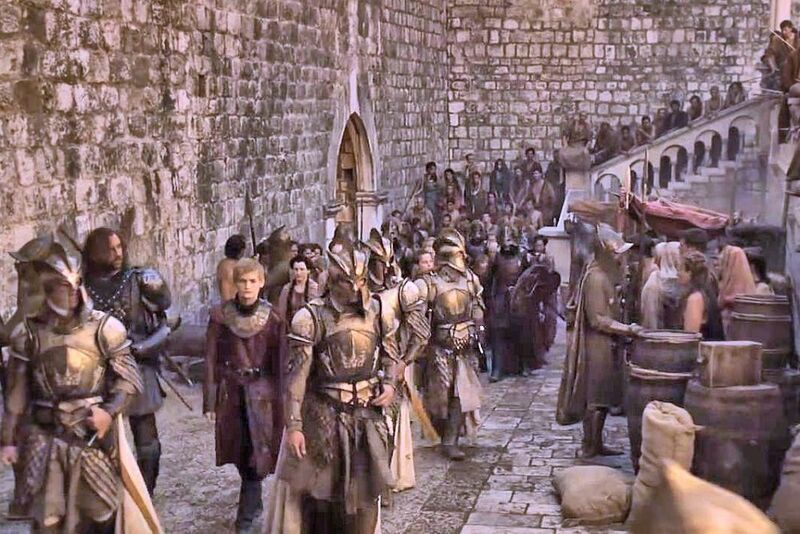 The popular TV series Game of Thrones was filmed in and around Dubrovnik and Dubrovnik Local Guides will take you to the filming locations where all the action took place and tell you what it was like being part of the exciting world of magic, swords and dragons. Our guides will take you to Lovrijenac fortress aka the Red Keep, the location where king Joffrey hosted a tournament for his nameday; you will see the filming location where lord Varys and Tyrion Lannister were planning the city's defense from Stannis Baratheon's attack and we will also show you the small beach from where the young princess Myrcella sailed away to Dorne. 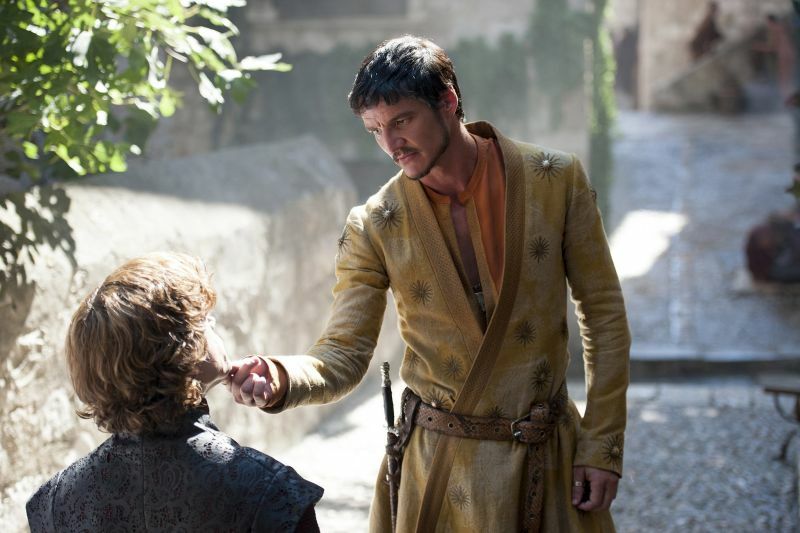 You will see where Littlefingers' brothel was located and also the filming location of the infamous Cersei's Walk of shame. 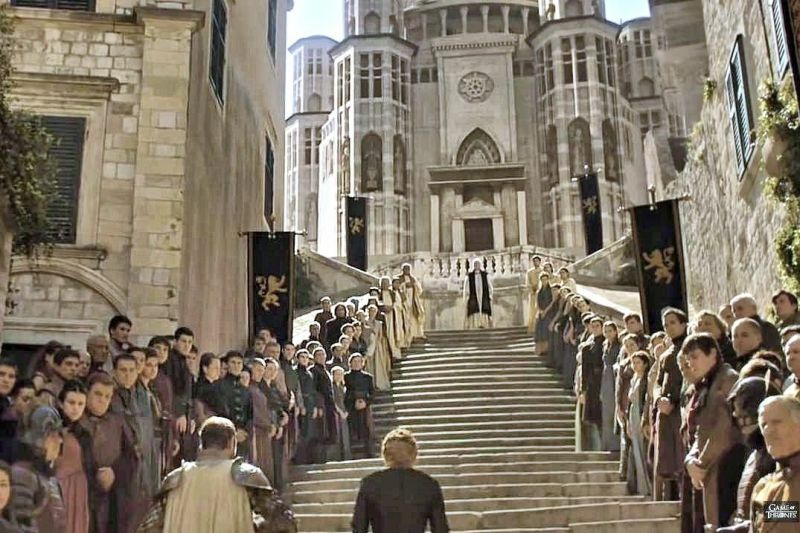 Not to forget, several scenes from Qarth were filmed on the nearby island of Lokrum and inside the historic Rector's palace, once a very important political institution in the old Dubrovnik. If you want to see the filming location of the Purple wedding when Joffrey died and relive it, join our Game of Thrones tour and we'll take you to the exact same spot, which in reality is a nice park just outside Dubrovnik's Old Town. The tour can be customized to include a visit to the city walls of Dubrovnik; the fort Minčeta was in fact used as the location of the dreaded House of the Undying. 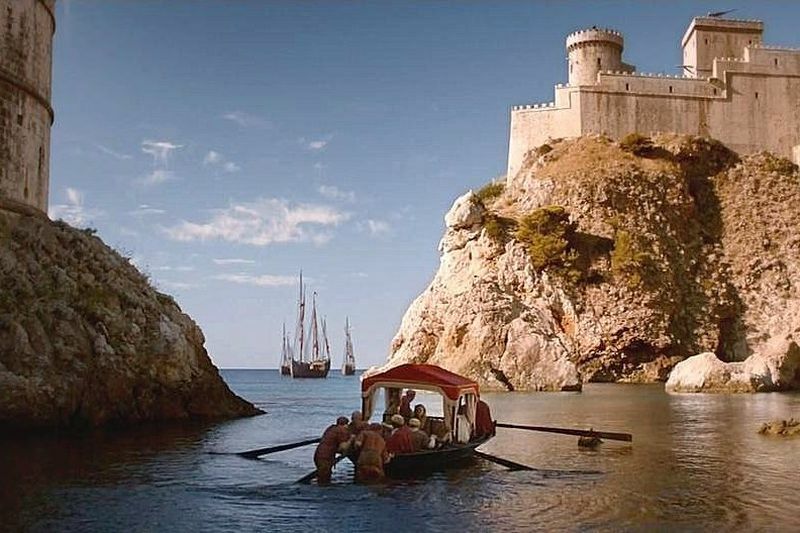 For all of you Thronies out there, the Game of Thrones tour is a must when in Dubrovnik! For the casual fans, we'll mix in a little bit of Dubrovnik's rich history and you'll come to understand that it had quite a lot in common with the plotting and scheming of the rich houses of Westeros... Join the tour, discover the filming locations and learn why! The Iron throne - group photo! Please note: The price of this tour does NOT include the admission fee for the fort of St. Lawrence. This has to be paid separately by cash only, in local currency. The price is 50 kunas. If you already have the city walls ticket, the visit to the fort is included and you just need to show the city walls ticket at the entrance.